If you’re heading to Denver next week, you’re about to experience the International Society for Technology in Education (ISTE) conference: a whirlwind of summer professional development for K-12 educators. You’ll learn new strategies, discover new EdTech tools, and make connections to build a professional learning network of educators from across the country (and world!). Here at Amazon Education, we’re teaming up with teachers to host a few events to make your ISTE 2016 experience memorable. Be sure to check out these events, meet other educators and the Amazon Education and TenMarks teams, and walk away with innovative ideas to bring to your classroom. Join us to observe the first Maker Education Challenge at ISTE 2016 hosted by Nick Provenzano! Master Makers David Saunders, Diana Rendina, Colleen Graves, Bill Selak, and Jeff Branson will join novice makers for the ultimate maker challenge. Starting with a challenge prompt, each team led by Master Makers will use the same materials to create an effective solution to the prompt. Join us to discover what creations lie ahead and be inspired. Breakfast will be provided for both Maker Teams and observers. We’re excited to co-host the only new and pre-service teacher event at ISTE 2016! Education thought leaders Lisa Dabbs, Tanya Avrith, Shelly Terrell, and Erin Klein will guide new and pre-service teachers through strategies to develop a professional learning network to support them through their first five years of teaching and beyond. Drinks and Appetizers will be provided. Sponsored by Amazon Education. First come, first serve. Monday, Tuesday, and Wednesday morning at 6:00 a.m. MST before ISTE, we’re co-hosting #CoffeeEdu with Alice Keeler. CoffeeEdu is a one-hour "unconference" for educators. There isn’t an agenda or pre-chosen topic, but rather serves as an opportunity for educators to connect about issues, ideas, and questions from their own classrooms. Coffee and muffins will be provided. Join us in the ISTE Expo Hall to learn about Amazon Education's solutions to support you in your classroom. 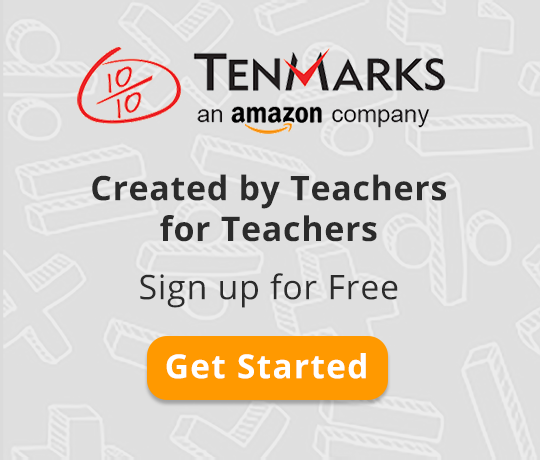 Learn about TenMarks, AWS, Amazon School Lists, and the new open educational resource platform from Amazon Education coming soon. Every hour, we’ll have a different presenter in our classroom sharing resources that you can use in your classroom. Stop by to access free classroom resources, participate in our scavenger hunt, and win prizes! After a day of learning, put on your dancing shoes and bring your singing voice to EdTech Karaoke 2016. We’re teaming up with Symbaloo to co-host EdTech Karaoke at City Hall in Denver. Enjoy several dance floors, stages, and bars throughout the venue. Can’t attend ISTE and want to follow our updates and access classroom resources? Be sure to follow our live broadcasts, photos, and content on our Facebook, Twitter, and Instagram channels.